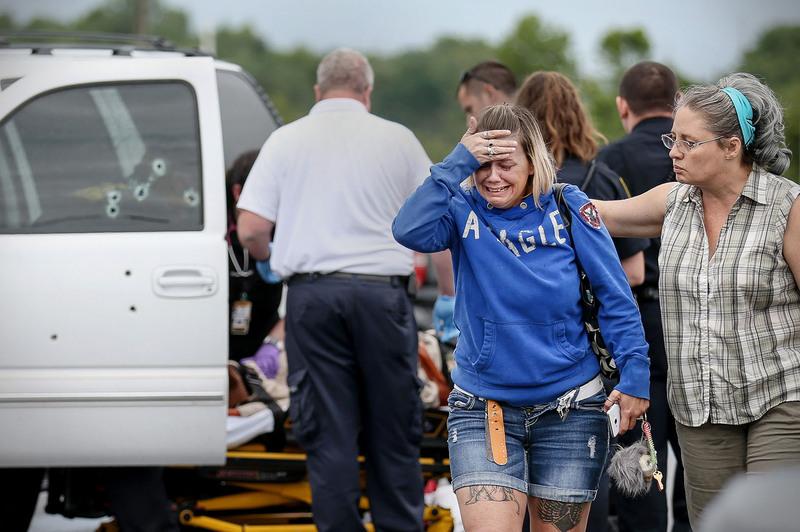 A woman (in blue) whom police say knew one of the people involved in a double shooting becomes emotional as medics tend to one of the victims in a parking lot on Brickton Road in Columbia, Mo., on Monday, June 26, 2017. A man and woman were shot in a white SUV and taken to a hospital with life-threatening injuries, Columbia Police Department Sgt. Mike Hestir said.